Sadly, little is known of TJ Lewis apart from that he lived and worked in Barry in South Wales during the first half of the 20th century. He may have been a local teacher and also owned a studio shop in Broad Street. In 1939 his name appears as the author of a play for the Barry Pageant to celebrate the town's becoming a borough. Lewis must have been as keen as they come, being an enthusiastic member of the Barry Camera Club and winning trophies for his work. He died around the 1960/70s. A rediscovery? - recently, some of his glass plates from a box dated 1913 have been amazingly discovered. Luckily, amongst them were a series of original Romani images. With assistance from Romani Cymru several of the plates have now been identified. The photographs were taken in the Barry area and show that Lewis was a master of portraiture. 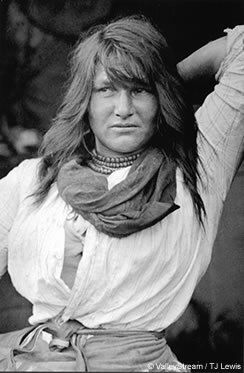 Taking a photo of a Gypsy has always been a difficult challenge, and attempting to take a photograph of Romani folki around the turn of the century would have been even more of a rarity. 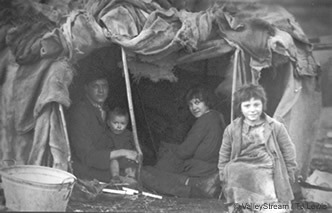 Like the great artisan photographer Fred Shaw, Lewis would have had to gained the trust of the Romani folki whose intimate family pictures he so mesmerisingly captured. A deal would have been chopped - struck - and money, food or items would have been exchanged for the rare privilege to capture the moment on to glass plates. Be sure, Roms would have been on the right side of any cameraman's activity, obtaining something in return. It was easier than hawking around for two or three days, but the trust would have stopped there. willingness to be photographed. Yes, on the morrow he would be "took". But with the morrow his mood had changed: "No, raia, not for a thousand pounds". So when Rachel Hearne posed for Lewis, probably after a deal chopped with her husband, he must have eagerly carpe diem - seized the day. The picture of a young Romni wife feeding her tikno child won Lewis the Camera Club trophy in 1913. The stunning young woman is Rachael Hearne born in Caernarfonshire in 1881. 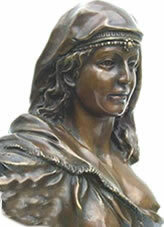 Her parents were Moses (b. circa 1846, Bentley, Yorkshire) and Melenia Lee (b. circa 1858 Bala, N. Wales). They had 9 chavvies - children. 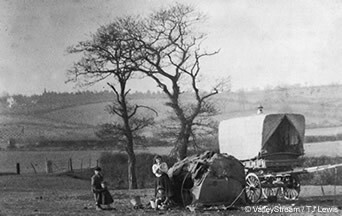 In the 1880s the family were living in bender tents in Denbighshire around the Ruabon area, and their atchin tan - stopping place - was recorded as Erw Llwyd tents. This is the "Rachael" most people seem to know of - she married Alfred Thomas and was probably the "noted one" after one of her images was published several times. 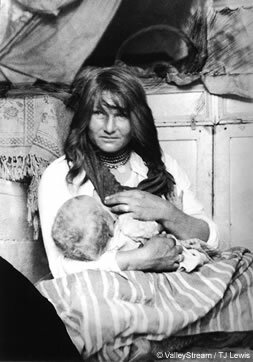 However, without doubt this little seen photo "Gypsy Mother" is probably one of the most innocent and poignant photographs taken of a Romani juval - woman. "I'm proud, but respect our freedom". Sadly, it never was respected - instead relentlessly wiped out by the surge of modern change in our over-populating island. Today all that is left of the true Romani ways are images like these as a stark reminder of what it was once like being a free Romani on the drom. and with grateful thanks for the donation of the TJ Lewis plates.